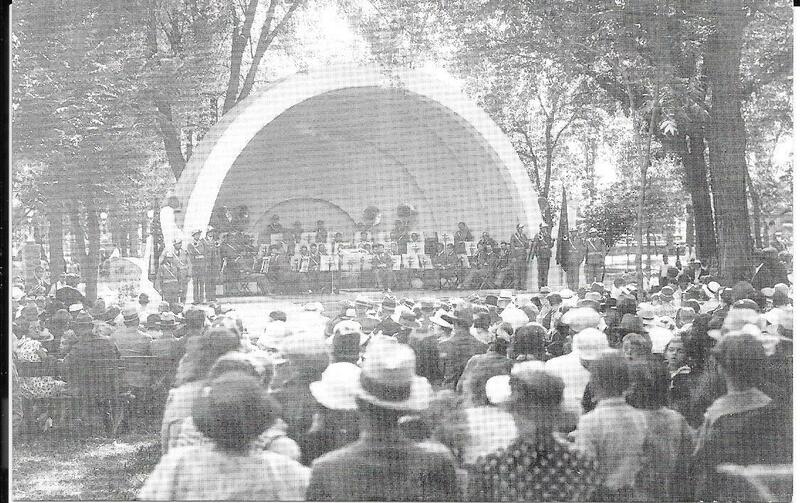 The dome-shaped bandshell located in the center of Swan Park was dedicated at the Harvest Festival on Sunday evening, August 26, 1934. The program included the American Legion Band with W. J. Harder, Director, in Part I and with various trios, solos, bands, and orchestras in Part II. The bandshell was modeled after the Swift and Ford Bandshells created for the Century Progress in Chicago. Permanent wooden benches provide seating for the audience. Orrin Hofferbert, president of the park program committee and a chief electrical engineer at Monarch Range Company, created a multicolored light and water show at the front of the stage area. 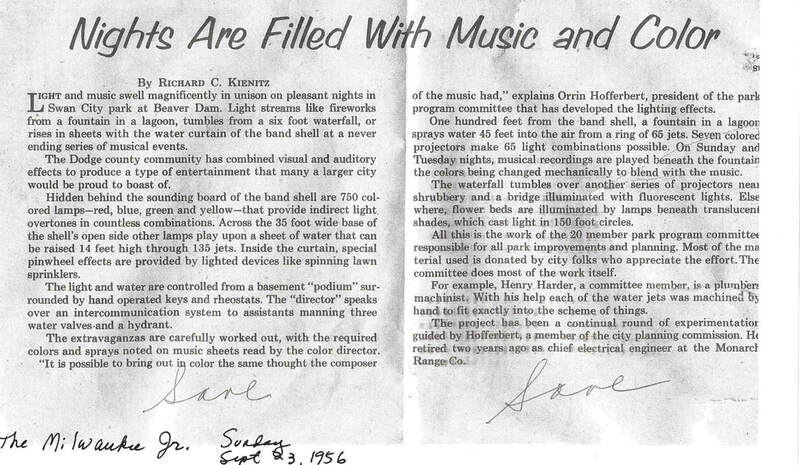 "Light streams like fireworks from a fountain in a lagoon, tumbles from a six foot waterfall, or rises in sheets with the water curtain of the band shell at a never ending series of musical events...." written by Richard C. Kienitz of the Milwaukee Journal, Sunday, September 23, 1956. Photos at the Dodge County Historical Society show acts that performed over time included elephants on the stage, trapeze artists, trampoline acts, and Native American acts. 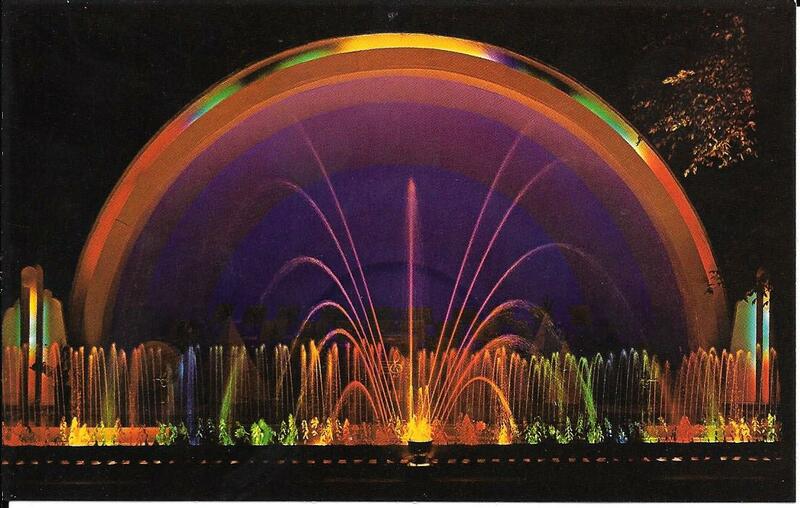 By the mid 1970s, the fountain and lights ended because the equipment had become obsolete. Today, free regular concert programs are provided on Wednesday evenings with attendance ranging from 100 to 400.
or see the website Wisconsin Historical Markers.